In this Jan. 28, 2010 file photo, copies of J.D. 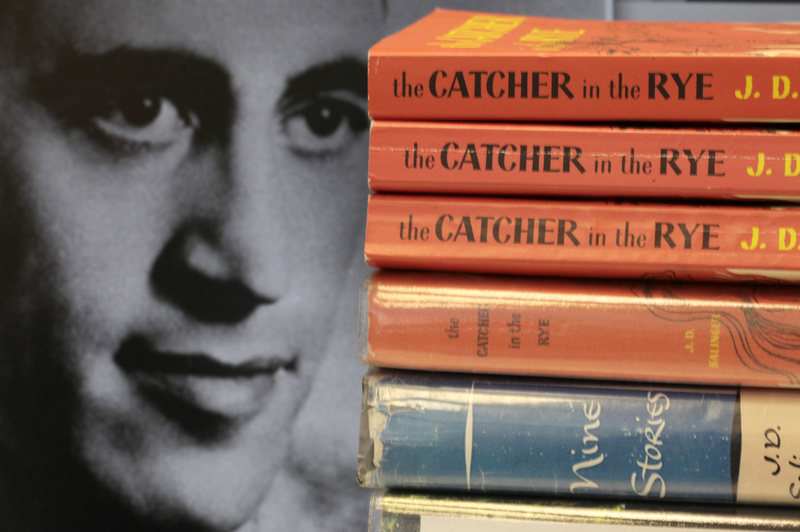 Salinger's classic novel "The Catcher in the Rye" as well as his volume of short stories called "Nine Stories" are seen at the Orange Public Library in Orange Village, Ohio. Salinger, died Jan. 27, 2010, in Cornish, N.H., at the age of 91. At left is a 1951 photo of the author. His work has been banned, glorified and enshrined in high school reading lists around the world. Now the reclusive writer J.D. Salinger is the subject of documentary and companion book exploring his career and personal life. Our literary contributor David Kipen joins the show with a review.